We have been getting several requests for information on the most powerful super foods out there. 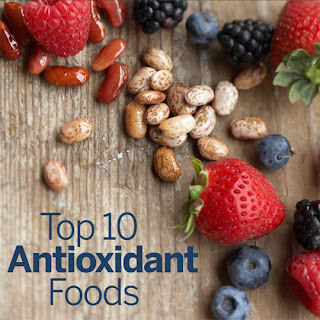 We decided to find foods that that have the highest amount of antioxidants packed in them. Here is a quick nugget of knowledge for you on antioxidants. Antioxidants work by controlling the damage that free radicals can do to your healthy cells, as well as tissue. Free radicals will cause oxidation in your cells, similar to when you cut an apple and let it sit out; it will turn brown! If you allow free radicals to roam your body, it will cause stiff joints, wrinkled skin, and lead to artery and liver damage. These are all things we definitely want to avoid. Below you will see the list of the top foods you should be feeding your body. Pump some of these into your diet and start blasting away at those free radicals hiding out in your body!